Working for forty years to protect the health of all athletes and promote clean competition is no small feat. 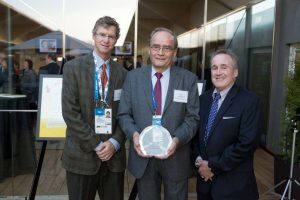 For his hard work in this field, The Foundation for Global Sports Development is delighted to award Professor Arne Ljungqvist with our prestigious Humanitarian Award. This award is accompanied by a $100,000 grant from GSD to the Professor Arne Ljungqvist Anti-Doping Foundation. Athlete, medical researcher and professor, and advocate for clean sport — few people can say they share the same high level of accomplishment which Professor Arne Ljungqvist has reached in all three of these areas. As such, Professor Ljungqvist is uniquely poised to provide his insight to the anti-doping movement as both a competitive athlete and medical professional. Born and raised in Sweden, Professor Ljungqvist has been involved in athletics since he was a youth. He competed at the 1952 Olympics in the high jump event. Following his participation at the Olympics, Professor Ljungqvist went on to complete his studies in medicine. In 1972 he was appointed Dean of Medical Faculty at Karolinska Institute, where he pursued research in the fields of renal and cardiovascular diseases as well as oncology. It was also during this time that he joined of the International Amateur Athletic Federation (IAAF). He eventually became the Senior Vice President of the IAAF and the chairman of its Medical Committee and Anti-Doping Commission. As Professor Ljungqvist’s medical career advanced, so did his involvement in the anti-doping arena. He spent much time on the International Olympic Committee’s Medical Commission. Recognizing the need for a larger scale monitoring of doping, its health impacts, and the use of performance-enhancing drugs in sport, Professor Ljungqvist advocated for the institution of the World Anti-Doping Agency. He now serves as the Vice President of WADA. Professor Ljungqvist’s reach extends far beyond just elite-level athletes. 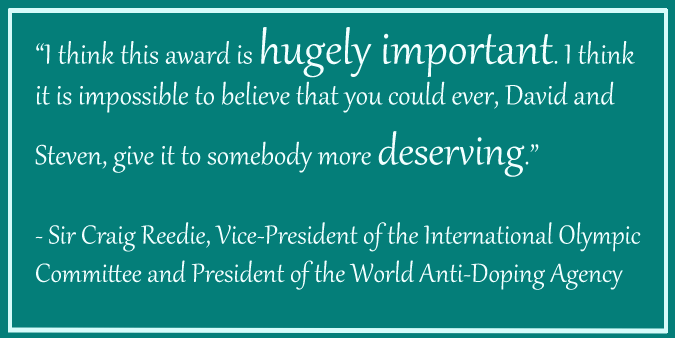 He believes doping is a public health issue, and seeks to focus on prevention and education. By advocating for change in role model athletes, Professor Ljungqvist also hopes to educate legions of young children across the world about the ideals of healthy sport.